Can BRAND'S® Essence of Chicken be refrigerated? Yes, you may store BRAND’S® Essence of Chicken in the refrigerator at a normal refrigerator temperature of approximately 5 degrees. You may store for as long as you need to as long as the bottle is unopened and it is within the product expiry period. Once the bottle is opened, it should be consumed immediately or refrigerated and consumed within 24 hours of opening. Can children consume BRAND’S® Essence of Chicken? BRAND’S® Essence of Chicken is a natural health food supplement ideal for children age 2 and onwards. BRAND’S® AlphaMynd Essence of Chicken for Children range is formulated for children below 12 years old. We have two varieties (with Vitamin B Complex or Lycium) and both are available in 41ml (or 1.5 oz). Can I consume BRAND’S® Essence of Chicken before sleeping? BRAND’S® Essence of Chicken is natural food supplement and does not contain any stimulants or caffeine. And it is not a drug or medicine. So BRAND’S® Essence of Chicken should not affect your normal sleeping patterns. How should BRAND’S® Essence of Chicken be stored? BRAND’S® Essence of Chicken should be kept at normal room temperature, in a cool and dry place away from direct sunlight or extreme low and high temperature. I am currently on medication. Can I still consume BRAND’S® Essence of Chicken? Will BRAND’S® Essence of Chicken react when combined with other drugs? 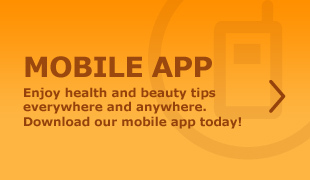 We recommend that if you have any specific health conditions or concerns, that you discuss them with your family doctor. BRAND’S® Essence of Chicken is not a medicine or drug. It is a natural health food supplement. So BRAND’S® Essence of Chicken should not result in any side effects, withdrawals or addiction. Different people do react differently to BRAND’S® Essence of Chicken depending on their unique body composition, daily activities and sensitivity towards product intake. Is caramel colour safe for human consumption? Ensuring the safety of our products is the top priority for our company. All our products comply with the Food Regulation in Singapore and the caramel colour used in BRAND’S® Essence of Chicken is an approved food colour listed in the Fifth Schedule, Permitted Colouring Matter, in Food Regulation by Agri-food and Veterinary Authority of Singapore. The efficacy of BRAND’S Essence of Chicken is backed by 38 scientific papers and has helped build the foundation of health for generations. Should BRAND’S® Essence of Chicken be kept refrigerated? BRAND’S® Essence of Chicken is natural and does not contain any preservatives. We guarantee its freshness with our unique vacuum sealing and heat sterilisation process. Once the bottle is opened, it risks contamination when it comes into contact with air – which is just like any other food product. For this reason, we recommend that BRAND’S® Essence of Chicken be consumed immediately after opening. Otherwise, it should be refrigerated (at normal refrigerator temperature of around 5 degrees) and consumed within 24 hours of opening. BRAND'S® Essence of Chicken is an all natural health food supplements that is made from extracts of fine quality chicken in an easily digestible form. It is hygienically processed in high temperature to give it a unique flavour and vacuum sealed to preserve its freshness. It's aready-to-drink product, free of fats and cholesterol and does not contain any preservatives. 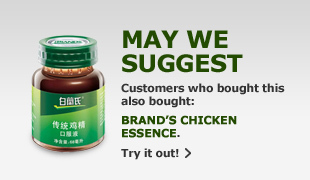 What is a recommended way to consume BRAND’S® Essence of Chicken? BRAND’S® Essence of Chicken may be consumed straight from the bottle at room temperature, chilled or warmed accordingly to one’s preference. What is caramel colour and why is it used in BRAND’S® Essence of Chicken? Caramel colour is one of the most widely used food colourings made from caramelisation of carbohydrates. Caramel colour is used to standardise the colour of BRAND’S® Essence of Chicken that gives its characteristic rich dark brown colour. What's the difference between "double boiling" and BRAND'S® Essence of Chicken? In the traditional double-boiling process, a small pot is used to hold the meat, in this case, chicken. The contents are then sealed and the small pot is placed in a larger container of boiling water. The indirect heat keeps the chicken hot but just under boiling point. This has the effect of concentrating the volume of liquid and retaining the essential nutrients and natural flavour. The controlled temperature and pressure results in a rich concentrate of the chicken extract. In the case of BRAND’S® Essence of Chicken, we extract the chicken essence through a unique and highly modern process under carefully regulated temperature and pressure. What this means to you is that you can dispense with the long hours of cooking time and enjoy all the health benefits in a ready to drink bottle! Unlike traditional home brewed chicken soup, it also has the additional advantage of being fat-free and cholesterol-free, an important factor in this age of healthy eating. And one bottle of BRAND’S® Essence of Chicken contains only 40 calories, which is equivalent to a medium size apple. When is the best time to consume BRAND’S® Essence of Chicken? Regular consumption of BRAND’S® Essence of Chicken is recommended to help your body’s systems function smoothly, making you more physically energetic and mentally alert. There is no “best” time to consume BRAND’S® Essence of Chicken. Why do some people take BRAND’S® Essence of Chicken and get heatiness? BRAND’S® Essence of Chicken is not a medicine or drug. It is a natural health food supplement. So BRAND’S® Essence of Chicken should not result in any side effects. Different people do react differently to BRAND’S® Essence of Chicken depending on their unique body composition, daily activities and sensitivity towards product intake. If you find that BRAND’S® Essence of Chicken gives you heatiness, we would recommend taking BRAND’S® Essence of Chicken with warm water. Why does BRAND'S® Essence of Chicken have such a long shelf life? That's because every bottle is vacuum-sealed and sterilised by heat. As a result, BRAND'S® Essence of Chicken's shelf-life is maintained as long as the hermetic air-tight seal remains unbroken. Why must I finish BRAND'S® Essence of Chicken within 24 hours? BRAND'S® Essence of Chicken is all-natural and does not contain any preservatives. It maintains its freshness through its unique vacuum sealing and heat sterilisation process. Once the bottle is opened, it risks contamination when it comes into contact with air which is just like any other food product. For this reason, we recommend that BRAND'S® Essence of Chicken be consumed immediately after opening. Otherwise, it should be refrigerated and consumed within 24 hours of opening. Will the quality of BRAND’S® Essence of Chicken deteriorate after a long period of storage (but still within expiry period)? As long as the bottle remains unopened within the expiry period, the quality of BRAND’S® Essence of Chicken should remain unchanged due to its vacuum sealing properties Please ensure that the safety button on top of the triple-safety cap does not pop up before opening.